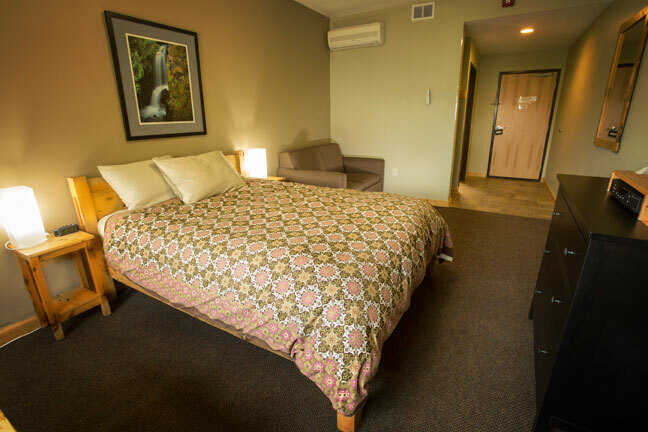 At the eco-friendly Adventure Inn, all rooms are non-smoking, and come equipped with microwave, fridge, TV, A/C, free Wi-Fi, plus down or raw silk comforters and pillows. Join us for delicious homemade pastries and freshly brewed, locally roasted coffee in the lobby each morning. And ask about our many pet friendly rooms. 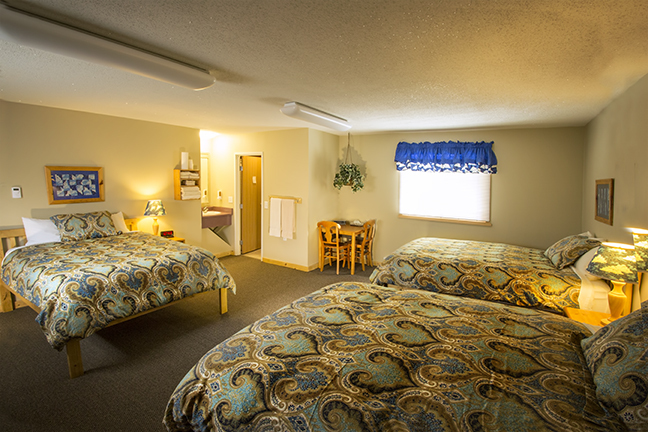 * The Inn is conveniently located in downtown Ely, near fine or casual dining, the world's best iced custard, health spas, outfitters and area attractions. Single Queen Rooms in back building with tub showers (2), and in front building (2). Room 101 is wheelchair friendly. All Single Queens are dog-friendly, except Room 201 which has tub shower, but is not pet friendly. 2 Two-Queen Rooms in front building, 6 in back, most Two-Queens are dog friendly. Room 205 has a tub shower, but is not pet friendly. 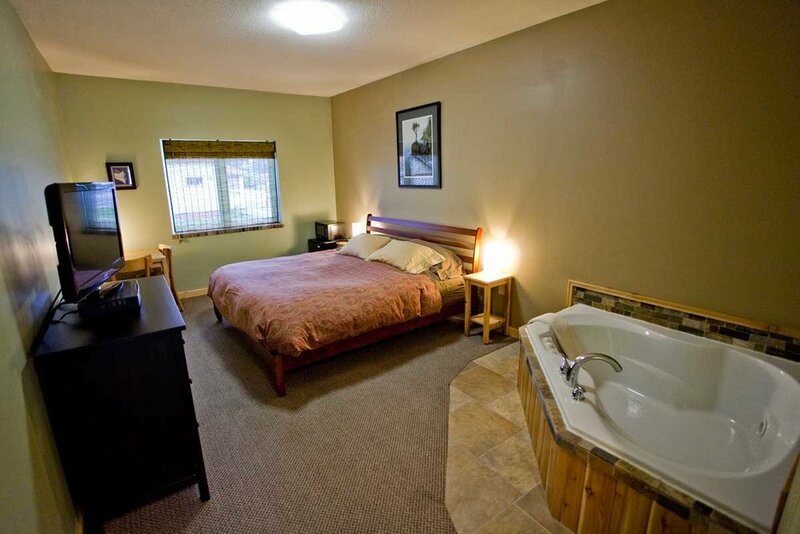 King-sized bed with jetted tub for two in our Jacuzzi King bedrooms. All King Rooms are dog friendly. 2 in back building with tub showers, 4 in front, all come with recliners. 202, 203, 204 have tub showers, but are not pet friendly. Four-Queen Room 23 upstairs is large with a tub shower, across from Three-Queen Room 22. Room for large family or group to spread out. Dog friendly. 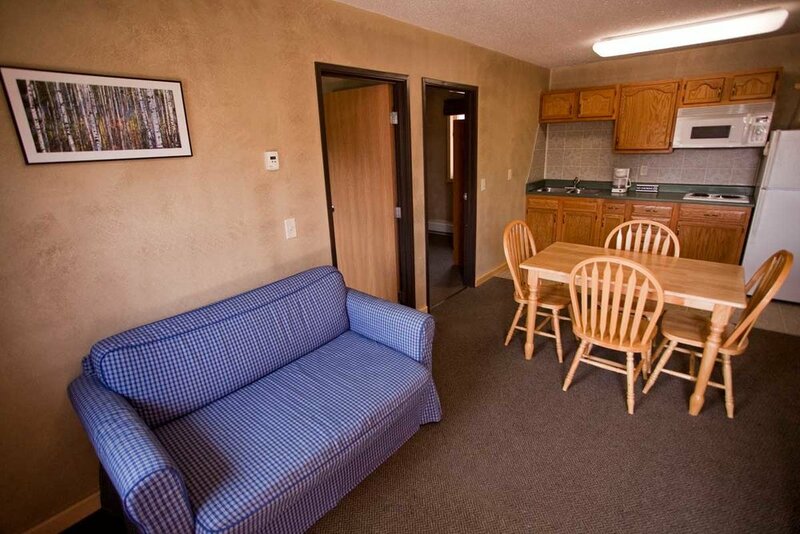 Large Two-bedroom suites with full kitchen, pull-out futon couch and dining in living area. Sleeps 6. Kitchen suites are dog friendly. 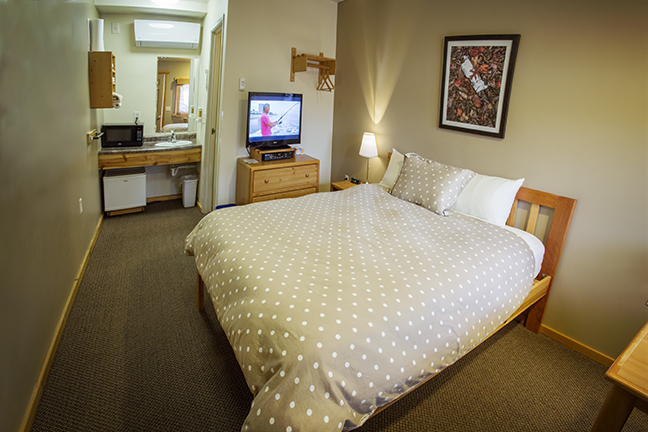 2 wheelchair accessible rooms. Room 9 in back bldg has a Queen and a Twin bed, parking by door. Room 101 in front building is next to the office. Dog friendly. 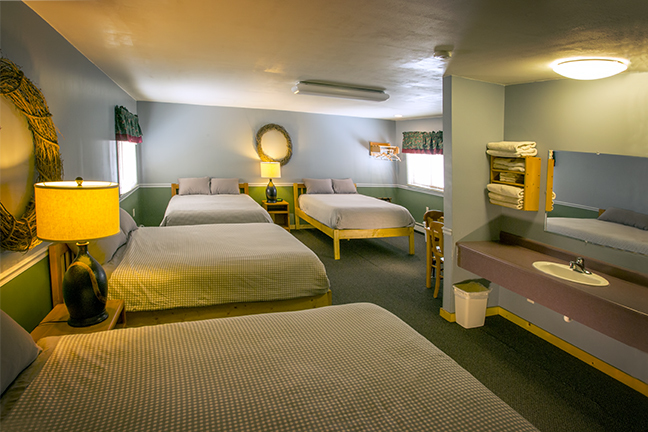 Three-Queen Room 22 upstairs is great for a large family or group. Dog friendly. Across from 4-Queen room and 2-Queen room. 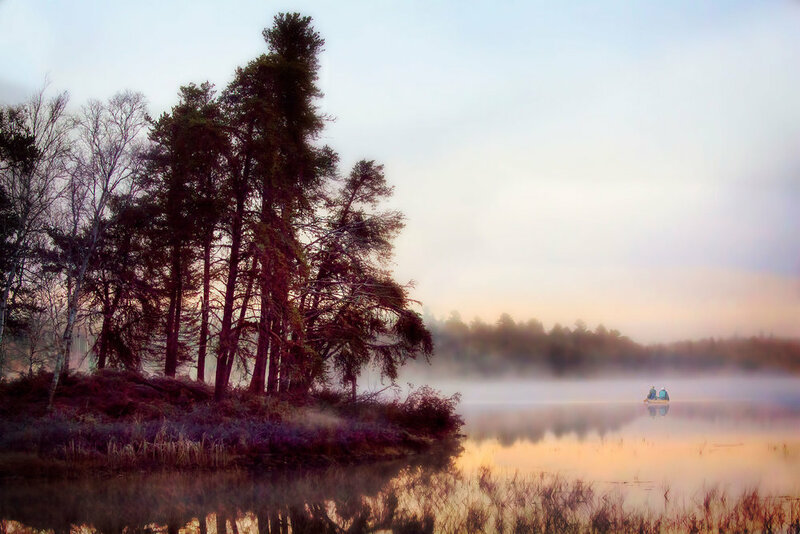 Our remote log cabin is bordered by the Boundary Waters Canoe Area Wilderness on one side, and surrounded by Boreal forest and gently flowing North Kawishiwi River on the other. Unplug, relax and leave the getting there to us! 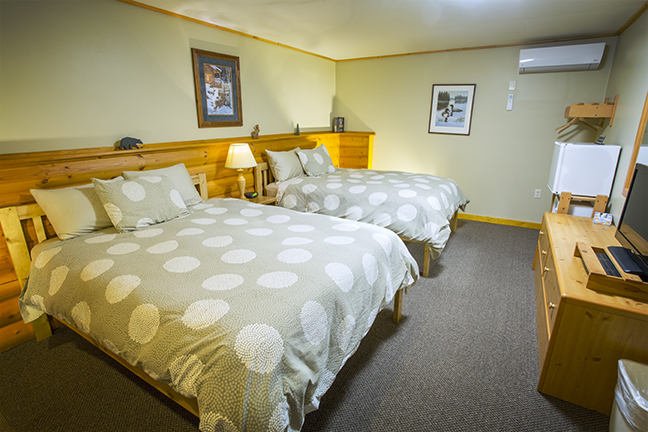 *We have many dog friendly accommodations, for just $15/day additional. Due to the allergies, no cats are allowed at the inn.